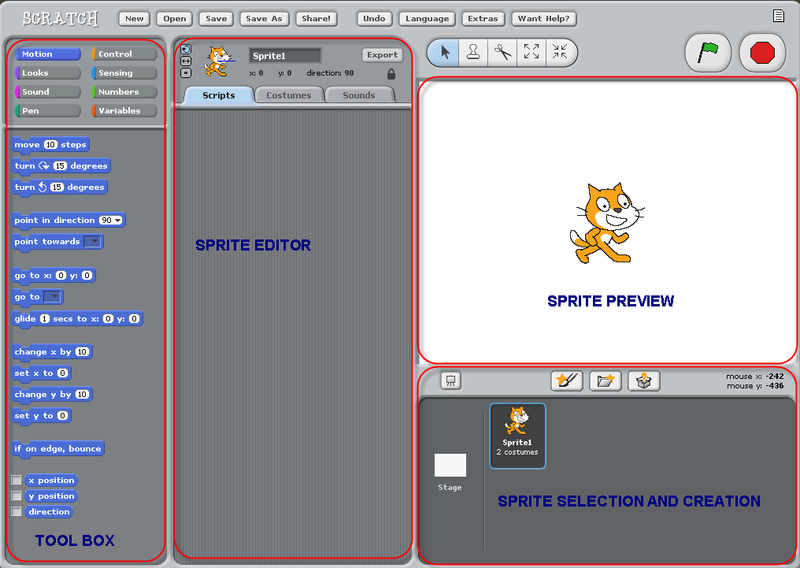 Screenshot of the Scratch editor. When we talk about digital divide, lack of adequate infrastructure and lack of knowledge are two major obstacles that impede mass connectivity. Acquiring digital literacy skills is a critical factor in reducing the digital divide. And key to reducing this gap is teaching computational thinking and science concepts to young students in an easy and fun-loving way. Scratch may be the answer. It is an educational programming language and multimedia authoring tool for use by students, parents, and educators for a range of educational and entertainment projects. The projects can include simulations and visualizations of experiments, recording lectures with animated presentations, animated stories for social sciences, interactive art and music, and much more. Millions of people are creating Scratch projects in a wide variety of settings, from homes and schools to libraries, museums, and community centers. The program is being used in more than 150 different countries and is available in more than 40 languages. I like Scratch better than blogs or social networking sites like Facebook because we’re creating interesting games and projects that are fun to play, watch, and download. I don’t like to just talk to other people online, I like to talk about something creative and new. The first day of the Scratch 2012 Conference. Image from Flickr by ScratchEd team. Used under a CC license. The ScratchEd online community was launched in 2009. Through this platform Scratch educators can share stories, exchange resources, ask questions, and find other users. ScratchJr is a developmentally appropriate programming language for children, where 5 to 7 year olds can create their own animated stories, interactive collages, and games. Here is a video showing the magic of Scratch. Scratch programming camps are held regularly to spread the word. You can find more resources online, as well as printable handouts with more information. The first version of Scratch was developed in 2003 by the Lifelong Kindergarten group, led by Mitchel Resnick, Professor of Learning Research at the Massachusetts Institute of Technology (MIT) Media Lab. 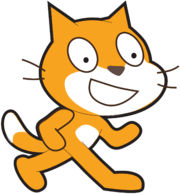 Scratch can be freely download from its website, for use on either PC or Mac.